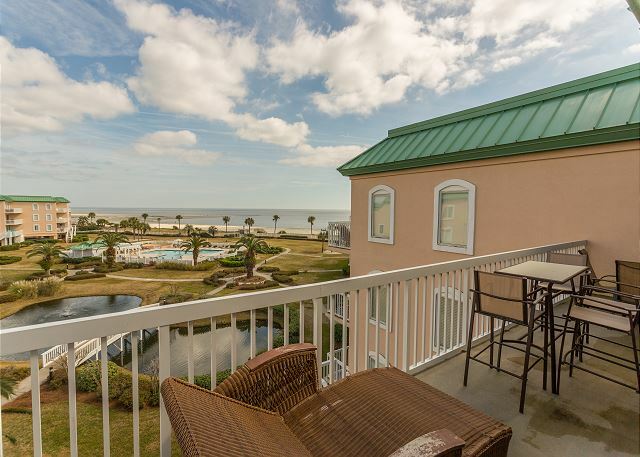 Real Escapes Properties is proud to offer this beautiful St. Simons Grand 3 bedroom, 3 bathroom residence. 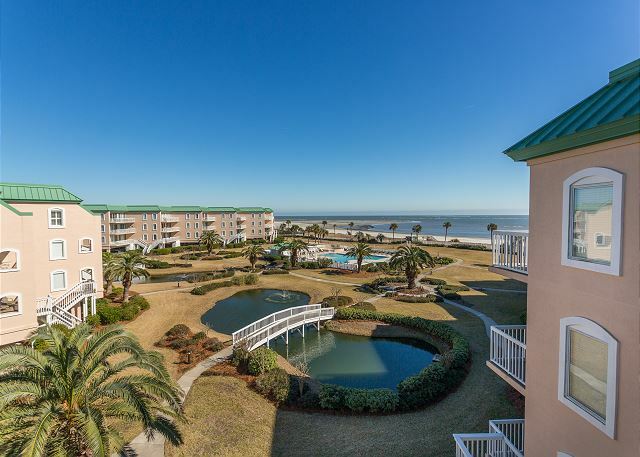 St. Simons Grand # 307 offers unobstructed Panoramic Atlantic Ocean views from the living room and balcony. The unit is generously proportioned and features nine-foot ceilings, quality interior detailing, wall to wall sliding glass doors. 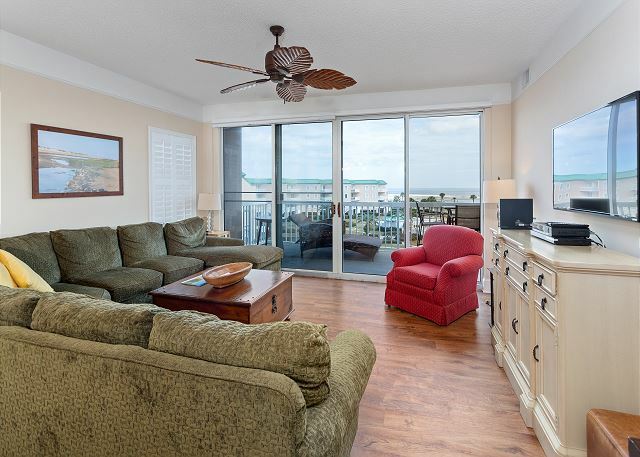 You will enjoy spectacular ocean views from the living room, dining room, kitchen, and master suite. 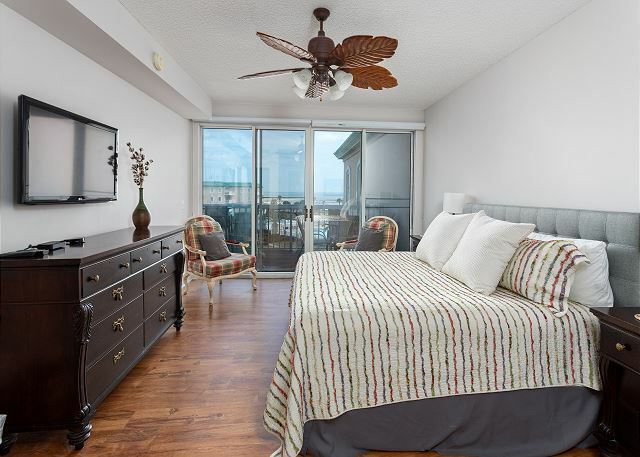 The condominium is well appointed with large living and dining area, over sized oceanfront furnished balcony, fully equipped kitchen, and three generously sized bedrooms. 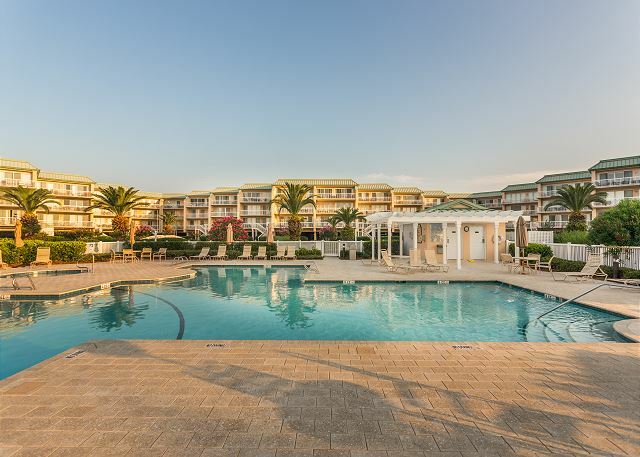 Community amenities include gated entry and security with the assistance of nighttime property patrol, a large heated swimming pool and hot tub, an oceanfront courtyard with lagoons and running fountains and a gazebo. To top it off, there is a private boardwalk to the ocean giving you easy access to put your toes in the sand. Real Escapes continues to be the friendly, professional operation we first contacted 10 plus years ago. Though it has many more rental listings now, the personal service and concern for clients is still very much alive. 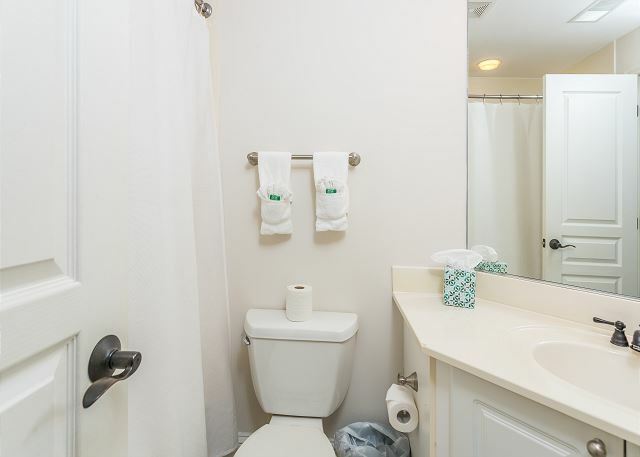 The units we have rented over the years were always clean and appealing. The Grand is wonderful and we will be returning for may years. Amazing Week at The Grand! 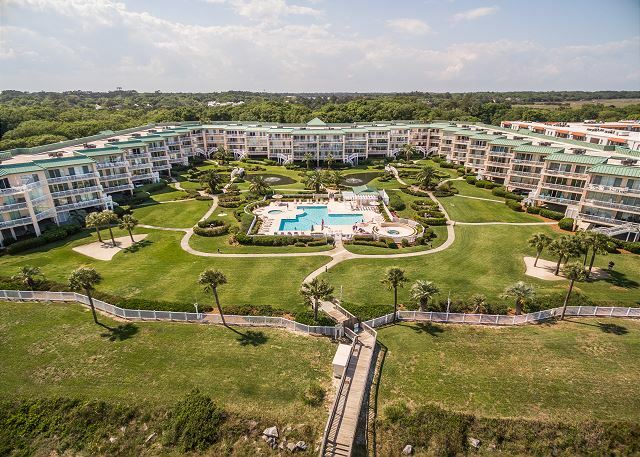 Our recent stay at 307 SSI Grand was simply wonderful--the condo is beautifully decorated and very comfortable,the kitchen is the best-stocked kitchen I've ever seen for a rental home, the heated pool was great (we swam every day) and you can't beat the easy access to the beach. I love working with the folks at Real Escapes--the staff is very friendly, always accessible and so accommodating! We will definitely be back! 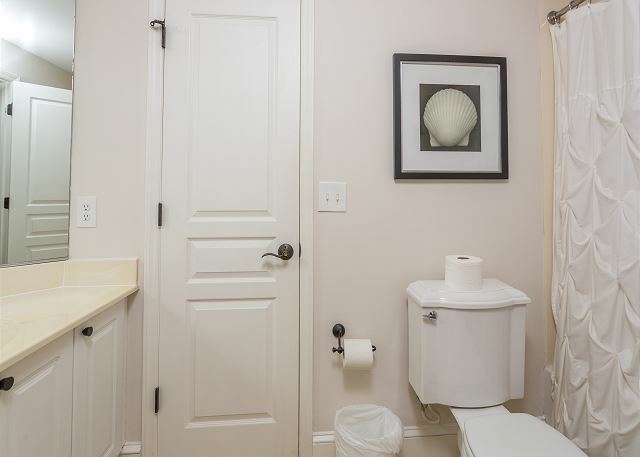 The view from this condo is spectacular. Even during a rare rainstorm it’s exciting to watch the shy and sea. The condo is furnished comfortably and there are cozy spots to sit and read. 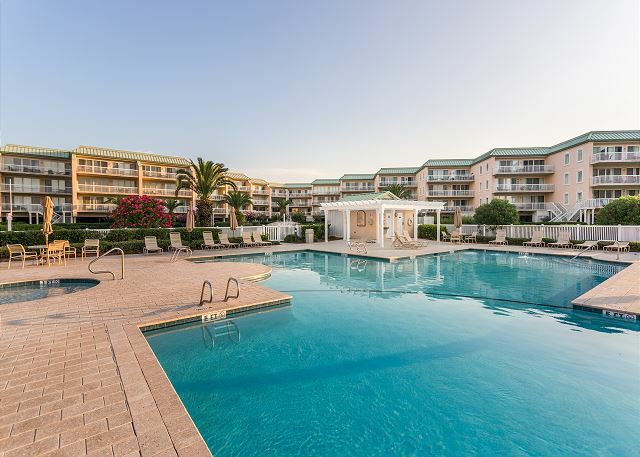 There is convenient access to the beach and the heated pool is very comfortable if the breeze is a little chilly on a fall day. 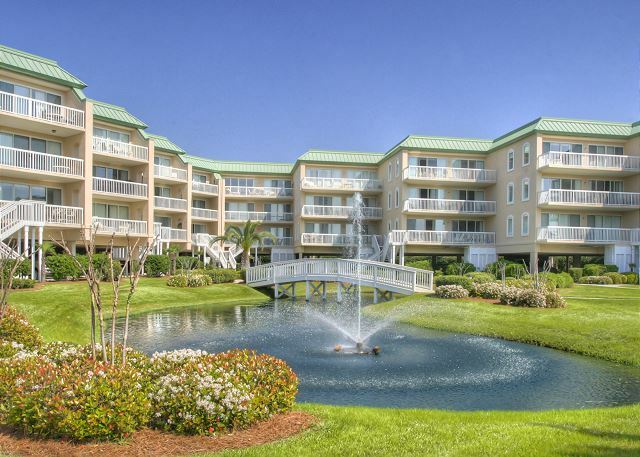 We have already reserved this condo for out next stay. What a wonderful week we had!! Real Escapes was a breeze to work with, and they staff was great! Our condo was as described, and better than the pics!! We may even buy the mattress we slept on; such a comfortable bed and the ffurniture was great! 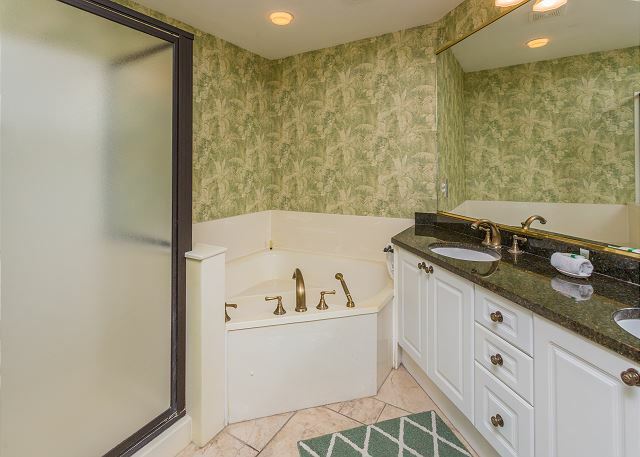 Very kid-friendly, great pool and beach access, very private, the grounds were well-maintained as was the rest of the property. A park was in a short walking distance and we went there daily. There are also several restaurants, a great clothing store, and a small market within a short walking distance. We ordered food from the King and Prince and had lunch on the beach (highly reonded experience)! 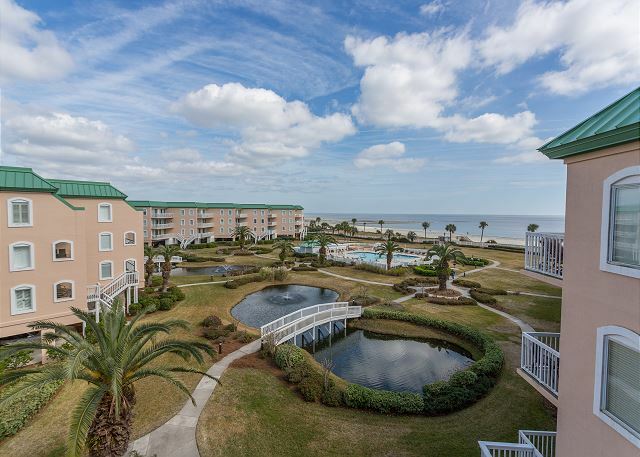 All in all, we highly recommend this group and the St. Simons Grand! Thank you for a wonderful vacation! 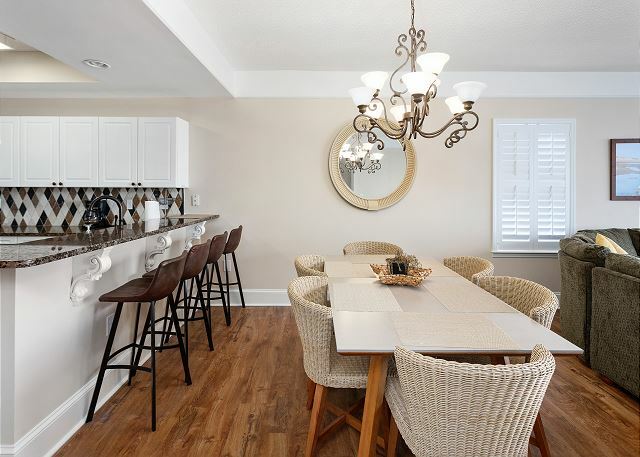 This is a beautifully well appointed condo with a fabulous view. 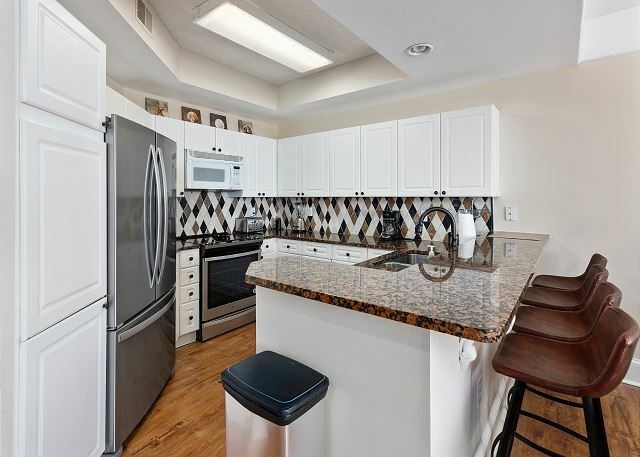 The kitchen appliances are new as well as the bedroom furnishings which made for a comfortable stress free vacation. 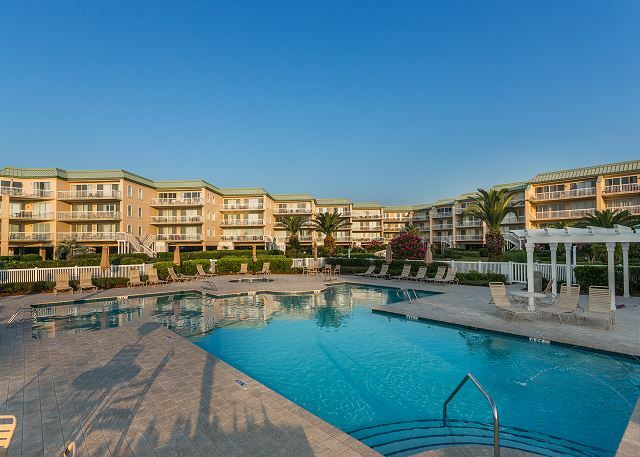 The owner has graciously supplied beach towels and beach chairs for the renters convenience. From this location at low tide it is possible to walk past the lighthouse to the Village. 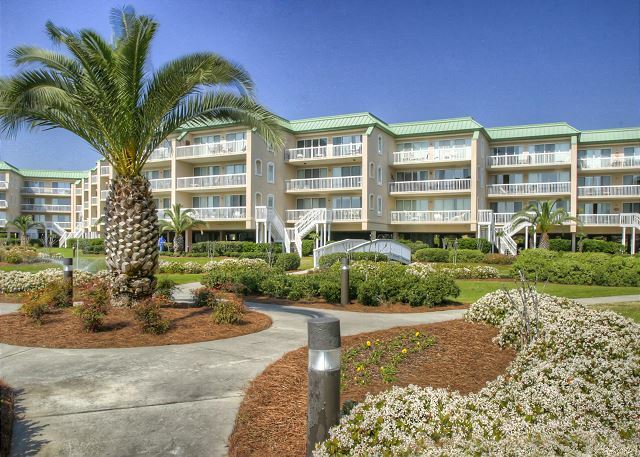 We look forward to returning again to St Simons and staying in this condo. 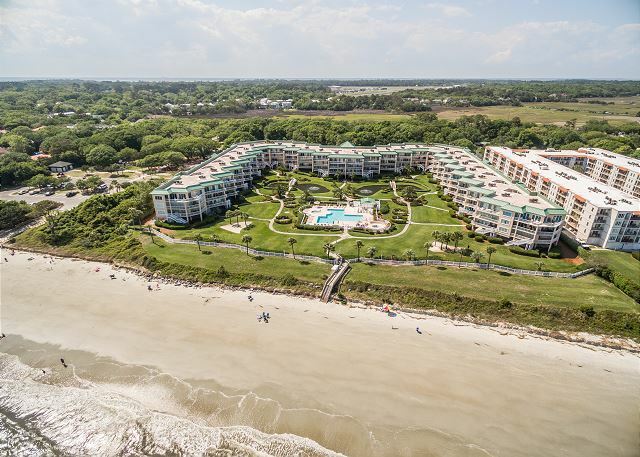 First time at St.Simons Grand but 12th visit to the Island. 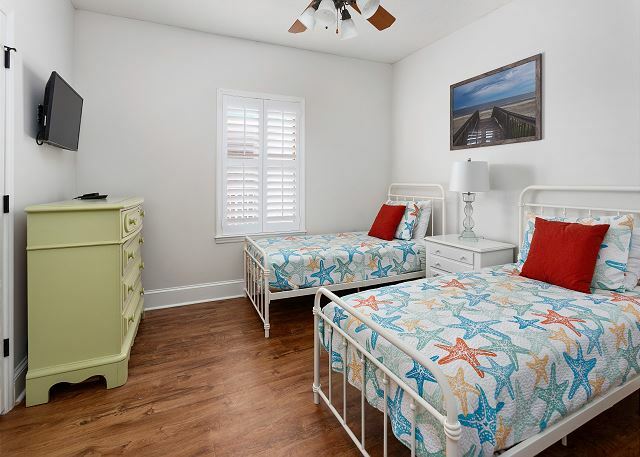 Wonderful spot for family to visit with many opportunities to enjoy the beach and all that the waterfront has to offer. 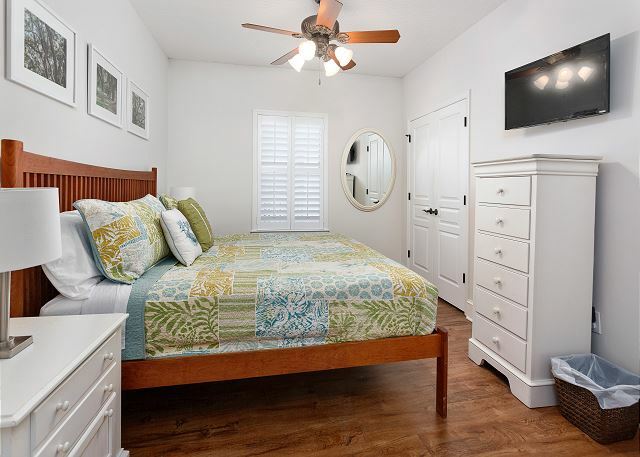 The place was very clean and well supplied upon our arrival and any concerns we had early on were addressed quickly by Real Escapes staff. The on site staff from the management company were helpful the few times we needed their guidance. We are signed up for 2019 and a bit sad we must leave and head back to the North East.